Joomla’s new email update notification plugin periodically checks for available Joomla! updates and bug fixes, then emails administrators to notify them. 3.5’s new statistics collection plug-in gathers the system environment in use. The raw data collected is anonymised before transmission and access to the compiled data is publicly available at https://developer.joomla.org/about/stats.html. 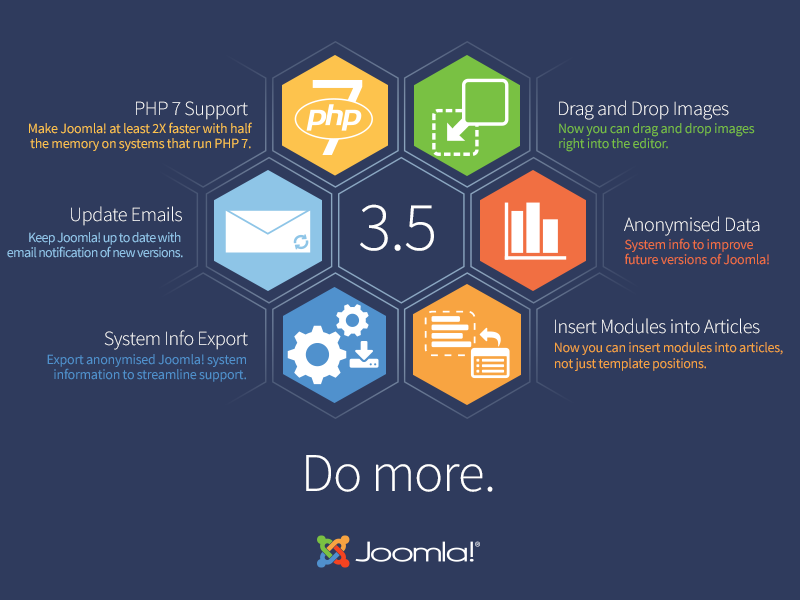 How Do you Get a FREE Upgrade to Joomla 3.5? If you’re already a hosting client, and running on the Joomla 3.x platform, we’ll be patching your web site in the very near future. We also offer free updates to site owners who are on the 3.x services, and choose to migrate from another hosting platform to our cloud hosting platform. Contact us for more details and to see if you qualify!